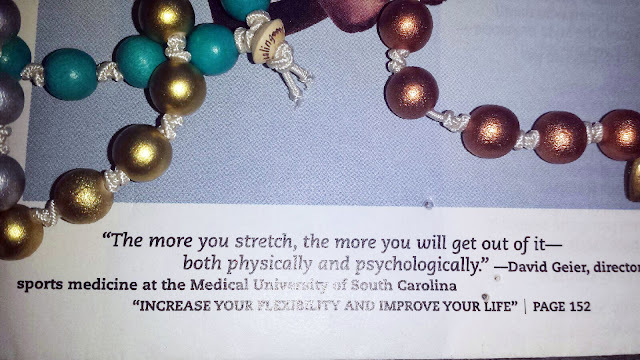 "The more you stretch, the more you will get out of it– both physically and psychologically." This has been on a bulletin board in my kitchen since 2010. I saw it in a magazine and the words felt so inspiring. The white dress and the woman just leaping is how summer makes me feel!!! Stretching matters so much in life…physically, mentally and emotionally. There is no way to avoid it. Today I packed up my 19 year old son and his girlfriend for their first trip solo to the Texas coast. There is a tiny bay town that we have taken my children to since they were in diapers. There is something so charming about this simple town. We ride bikes, float in the ocean and just stay outside all day and night until we crawl into our beds. 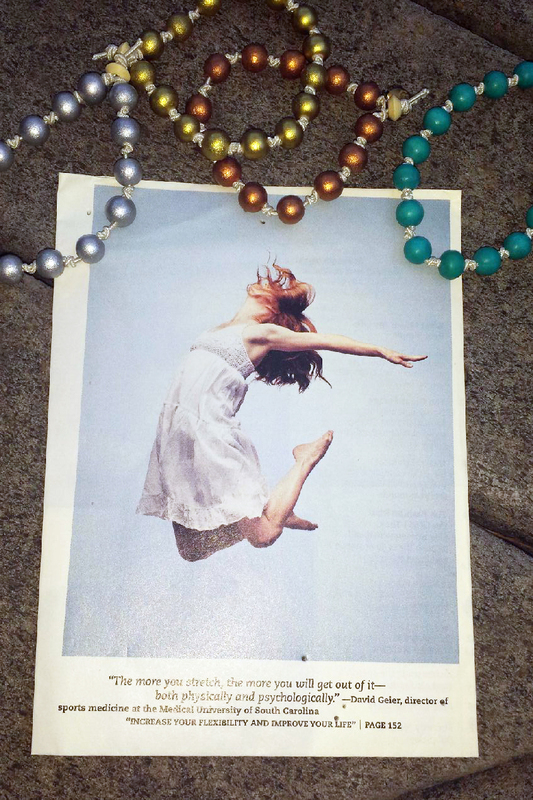 When I think of going to Rockport – I want to be in this white dress leaping into the ocean breeze!!! So refreshing to smell the salt, feel the sun and drop all of the cares of everyday life. Safe travels to my boy as he takes his new friend to a place that has been deep in his heart and soul since he was a baby. Amazing to watch life keep giving, changing and how we stretch into these new phases. People have asked me why I use elastic as the cord on my bracelets…there is something so wonderful about the “stretch.” The way the bracelet can stretch with you, around your wrist…the way we stretch into these new roles, relationships and life chapters. I will never forget my brother’s son told his mom a few months after he had lost his precious father, “Mom, I finally feel a little more elastic.” I know that might not mean much to you…but, I totally get it. Sometimes we are hit with a new reality, a twist to our story, something happens and we cannot imagine it is true…we eventually stretch into the new path that our life has taken. Amazing words from an amazing child. Keep growing up, stretching and traveling - every summer brings a new chapter.